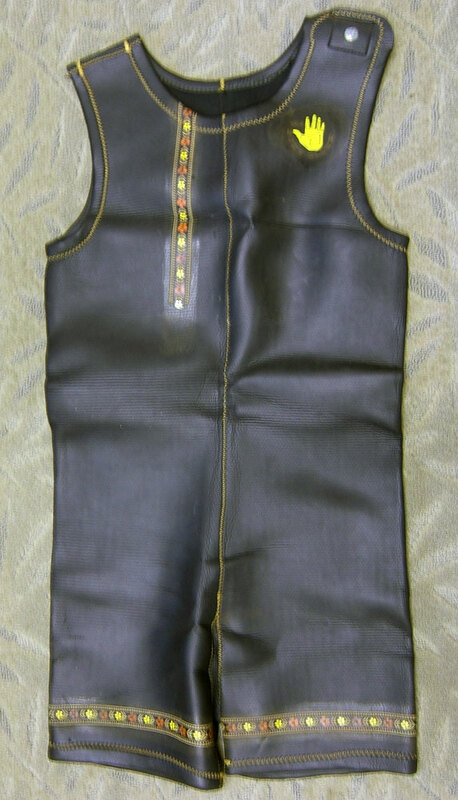 This wetsuit was only worn once by Tom Brockmiller, who decided surfing wasn't his cup of tea. His son Brandon had the same suit but wore his to pieces, and decided Surfing Heritage was a proper final resting place for his dad's suit. 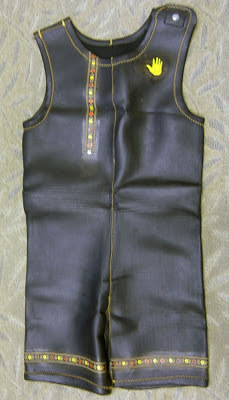 Both father and son are due to come by on Feb 25 to visit the wetsuit in its new home. 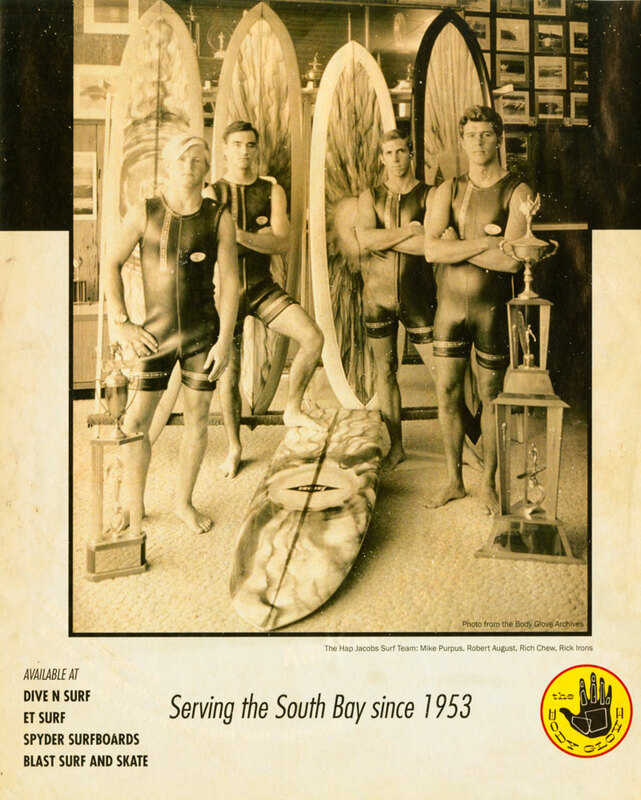 A recent reproduction of the original late 1960s Bodyglove ad with Mike Purpus, Robert August, Rich Chew, and Rick Irons, all wearing this same wetsuit. The new ad was featured in "Drop Zone" magazine.